STREETSBORO, Ohio, Nov. 10, 2016 /PRNewswire/ -- Tom Murdough has enjoyed a career spanning more than 40 years launching two highly successful Northeast Ohio consumer products companies. He founded The Little Tikes Company (1970), a children's products company, and later The Step2 Company (1991), a children's products and home and garden products company, both of which today enjoy worldwide recognition and distribution. His latest venture, Simplay3 is destined for the same success. 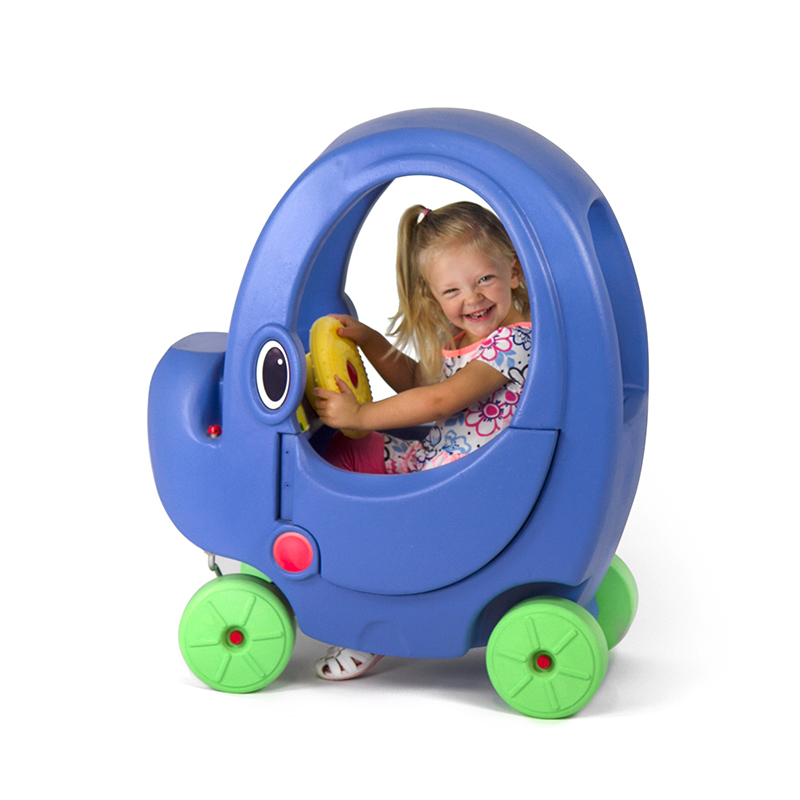 He has assembled a leadership team of creative designers, including Jim Mariol who designed the iconic Cozy Coupe™ for Little Tikes, John Sinchok and John Hradisky both of whom have been historically connected to Murdough throughout his career. The talent and expertise of this team is producing fresh new products with a "boutique" feel far surpassing what's been done thus far. Murdough has always been a risk taker, an idea engine and an out-of-the-box thinker – the very definition of the word entrepreneur. When starting his first company, Little Tikes, Murdough brought the rarely used process of rotational molding to the toy industry. At a time when the whole industry was going to injection molding (automation), Murdough opted to go the other way. Soon after immersing himself in the process and admiring its flexibility, Murdough was introducing products so creative they earned him the reputation as "the godfather of rotational molding manufacturing" and his company as the world's largest rotational molder. Conventional wisdom suggested that the rotomolding process is extremely labor intensive and therefore costly, but he recognized an advantage of low cost entry and speed in producing new product that is critically important. So, he addressed the labor drawback by attracting motivated, capable people and executing a management philosophy to treat people right by compensating them, communicating with them on a regular basis and giving them the freedom and responsibility to get the job done right. These two key principles - Process and People plus an entrepreneurial leap of faith brought on a battery of unique, innovative, high quality children's products while at Little Tikes, and later at Step2, home and garden products to a market hungry for fresh new choices. Murdough's years in the toy business became increasingly frustrating, however. As mass merchant demands increased for a consistent stream of lower cost new products beyond what the consumers sought, and dwindling margins for the manufacturer became all too common he decided to begin a well deserved life of retirement. After a brief period, however, he was hungry to feel the excitement of creating a new business. So, he stared down risk, utilized his genius business acumen and with his commitment to quality products providing value to the consumer, backed by exemplary service, he began to build a third chapter with his newest company, Simplay3. Just as he broke new ground in the 70's by molding an 800 consumer service number into each product made, he will pioneer a new frontier for manufacturers in approaching the market going direct to consumer solely through the simplay3 company website. When asked recently why he decided to create a new company Murdough replied, "I want to make available quality product direct from the manufacturer based on what consumers want and not what the retailer makes available. Always the competitor, he went on to say, "You just don't get this kind of excitement in retirement."